The Dream Slayer is officially out in the world now! I hope you're as excited as I am. Since you're so excited I've happily posted the book trailer below. Enjoy and make sure you pick up your copy ASAP! When your dreams come true, sometimes you get more than you bargained for..
Natalie Johnson has always dreamed she’s someone else; calm, beautiful, in control. A chosen warrior with a maniacal arch nemesis and a dreamy boyfriend, the type that can make your knees melt and your heart quiver. Real life is much different. She’s tormented by a bully and endures the sharp tongue of her father, but finds solace in her dreams. When her bully ends up dead, de ja vu from a dream hits her hard as everything around her begins to fall apart. Whatever killed Sarah in her dreams is now in reality, hunting her from the shadows. And it wants her dead. Somehow as the lines between reality and nightmare blur, Natalie must discover hidden strength to pull her friends and family back from the brink of madness. 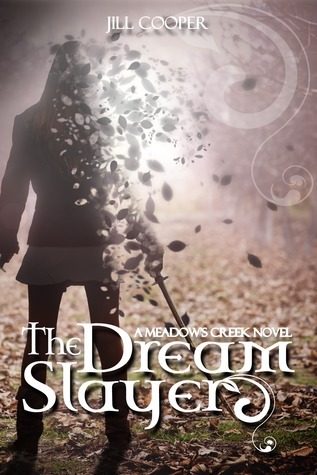 If you've been trapped inside of an awesome book for the past two weeks, or out enjoying summer vacay, make sure to check out these fun Dream Slayer posts! REVIEW of The Dream Slayer! And . . . today is the last day to enter The Dream Slayer giveaway for 2 e-books and 10 signed bookmarks! Ends 12:01 am June 30th.